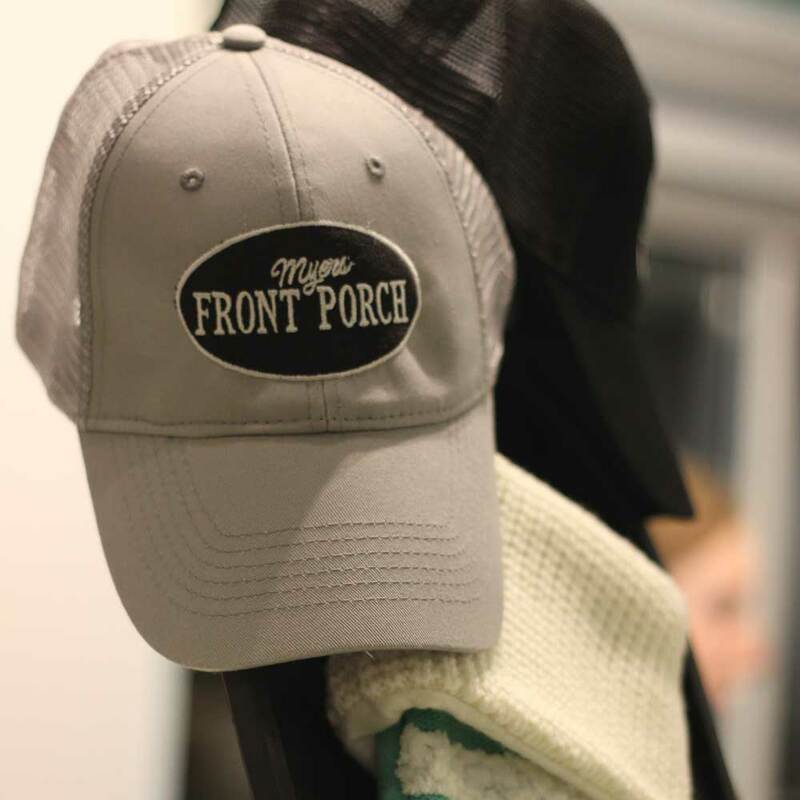 Myer's Front Porch | Fast. Healthy. Casual. 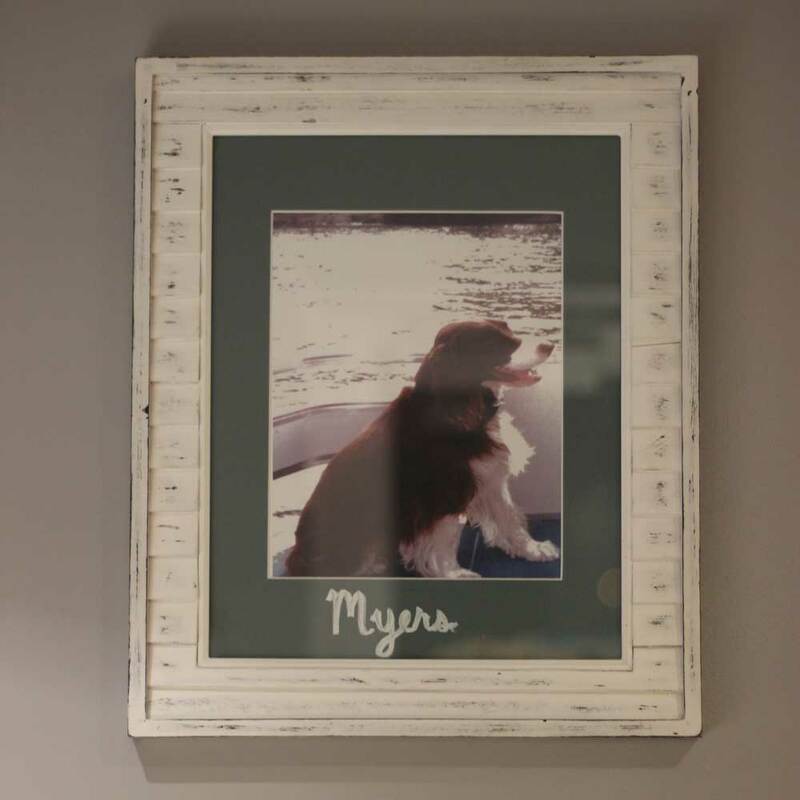 With a southern chic style, Myers’ Front Porch offers its guests a place to eat healthy tasty food, and gather in a relaxing community atmosphere. Don’t have time to stop in? No problem. Our drive thru offers a quick, friendly way to enjoy our delicious menu, bakery, and freshly brewed teas and coffees. No friers here! 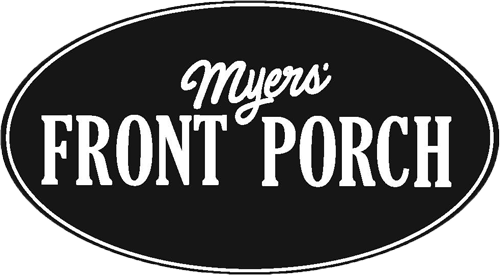 At Myers’ Front Porch we offer delicious, healthy options for you indulge your appetite and lifestyle. Our food is flavorful, crave able, and always hand crafted. An atmosphere of comfort as well as fellowship. 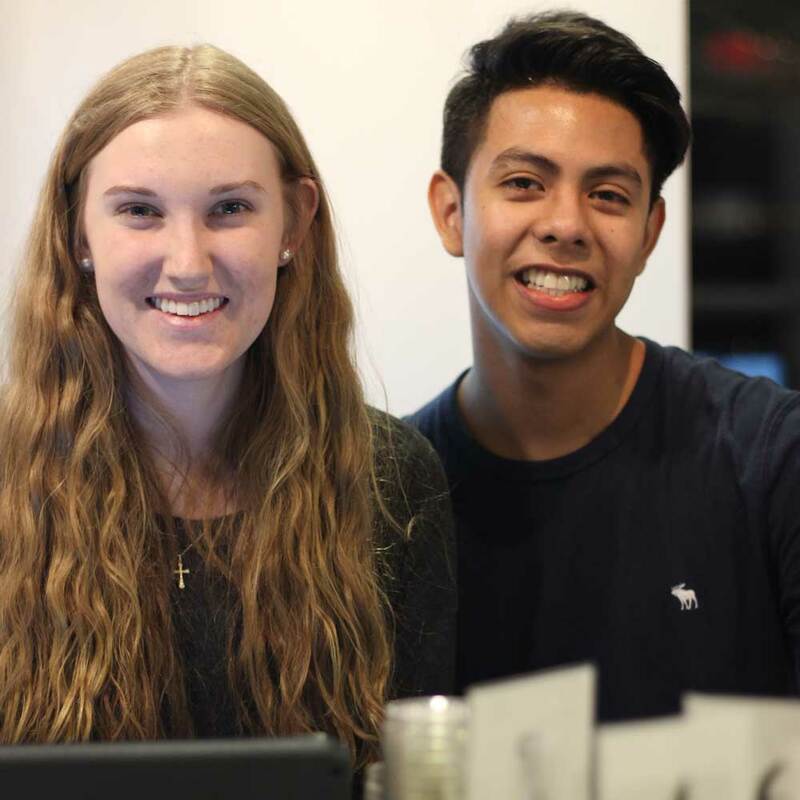 Whether you want visit with friends or grab a quick bite, we offer an environment for those in all walks of life for all times of day. Blanched steel cut oats topped with fresh warmed blueberries and strawberries, maple soaked bananas and a yummy honey almond butter drizzle. Garnished with sliced kiwi. A fresh baked buttered biscuit is layered with smoked brisket, slices of maple bacon, a perfectly poached egg and melted cheddar cheese. Sourdough bread is loaded with smoked salmon, sliced tomato, red onion slices, capers, and a cream cheese smear. Chunks of avocado and diced tomatoes, mixed with EVOO, salt and pepper are toasted on fresh wheatberry bread. Sliced ham or bacon is piled onto sourdough bread, and topped with a poached egg and cheddar cheese. It is then grilled to perfection. Our fresh cranberry walnut bread is covered in honey almond butter and slices of bananas, then toasted until gooey. This is a great pre-game meal for all Drakes Creek Park athletes. Fresh slices of cranberry walnut bread, dipped & grilled, served with maple syrup. Your choice of meat (maple bacon or house cut brisket), two eggs and your choice of bread (wheat or sourdough toast or a fresh baked biscuit). Your choice of Roasted Red Pepper, Pesto, Roasted Garlic or Cracked Pepper hummus served with either toasted pita points or fresh raw veggies. Whipped Feta and cream cheese with EVOO, cracked black pepper and local honey. Served with your choice of toast points or raw veggies. Tortilla chips are served with melted cheddar cheese blended with our house made pico de gallo. Three whole hard boiled eggs with a sprinkle of salt and pepper. Romaine lettuce is topped with sweet mandarin oranges, sliced almonds, grilled chicken, toasted coconut with fresh coconut lime vinaigrette. A bed of romaine lettuce is loaded with warm black beans, smoked brisket or grilled chicken, diced tomato, cheddar and Monterey Jack cheese, and red onions with tortilla chips and creamy BBQ dressing. Our take on a traditional chef salad with cherry wood smoked ham, oven roasted turkey, diced cucumbers, tomatoes, sliced eggs, cheddar and Monterey jack cheeses, and crisp bacon crumbles, served with our honey mustard or your choice of dressing. Fresh lettuce is layered with cucumbers, tomatoes, slices of avocado boiled eggs, red onions, feta cheese, maple bacon and warm grilled chicken. Served with honey balsamic dressing. Grilled chicken is smothered with Swiss cheese, layered with tomato, topped with pesto mayo and pressed on wheatberry bread. Turkey, Swiss cheese, cranberry mayo on Cranberry Walnut Bread. A thick layer of red pepper hummus is topped with sliced cucumbers, red onions, red and green peppers, sliced tomatoes, and romaine lettuce. Thick cut bacon, fresh lettuce, slice red tomato, on toasted wheatberry, with a house made pesto mayo. Sourdough bread is loaded with smoked salmon, sliced tomatoes, red onion slices, capers, and a cream cheese smear. Slices of whole turkey breast are placed on a bed of cranberry super foods slaw and garnished with a side of cranberry sauce. Served with two side of your choice. Hand cut smoked brisket is layered on top of a bed of green apple slaw and drizzled with BBQ sauce. Served with two sides of your choice. Our fire roasted grilled chicken sliced and served with tomato and avocado salad and super foods slaw. A pile of tortilla chips is loaded with melted cheese, warm black beans and pulled smoke brisket, then topped with fresh Pico de Gallo, diced avocado, sour cream, and a drizzle of BBQ sauce. Choose one item from two of the categoreis below. Sliced cucumbers and onions, tossed with whipping cream, vinegar, salt, and pepper. Chunk tomatoes and avocado, salt, pepper, EVOO. With sour cream and onions. Green apples, cabbage, mayo, vinegar, sugar, pepper and sea salt. Cold pasta with broccoli, olives, red & green pepper, feta, parmesan cheese and EVOO. Cooked Greens, stewed tomatoes, vinegar, sea salt.